I know it seems basic, but it is important to remember. Just a power amp is not a guitar amp. Not even close. You need a preamp not only for tone, but also to boost the signal so you can get full potential out of the power amp. not enough output to be useable. but they are really just a booster. That couldnt be used right? especially if you run them on 18v or 30v. under " various schematic websites"
If I use a flipster as A preamp on a LM3886 Poweramp, What is the best voltage to run it at, I would need a seperate transformer wouldnt I? Would It have to be a toroid or will a normal transformer do? You can use power off the other transistor, but its not really recommended, and its easier with a separate one. A regular CT transformer should be fine. Sweet I think that will be the go then, Can you add a mid pot to the flipster. make both caps something like10n or 15n. you could also use your favourite marshall/fender-style tonestack. can be fun though because you can use it to fine-tune the way the preamp responds to picking and the volume pot of the guitar. there have been some complaints on other fora because some people felt that the ROG designs were not loud enough; i suppose that's partly because the speaker sim filter in the end is a little lossy. Thanks a few questions though. not enough output to be useable." I recon a 9V preamp is more than enough, depending on the gain of the power amp. Let's take a power amp with gain of 22 (a lot of gain-clones use this). Power rails of +-25VDC. Maximum output voltage of the amplifier will be less than the rails, lets take 24 as an example. With a gain of 22 we get 24V/22 gain = 1.09 V input signal for max voltage. Now your preamp has 9V, If you use op-amps you'll get 4.5 volt rails. Your output only needs do be 1V thus you have headroom of 3.5 volts depending on the op-amp. "Would It have to be a toroid or will a normal transformer do?" 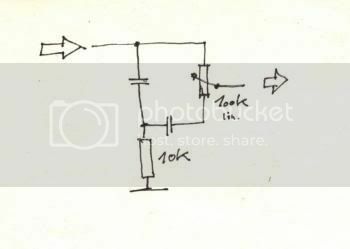 There is no difference exept that the toroid is usually smaller than a normal El transformer. Toroids also have a bigger inrush current. In a preamp you won't be using a 300VA transformer so it's not a problem. For a preamp the transformers are small enough to give you with both options open. I wouldn't go with a toroid for a preamp simply because they are more expensive and also don't normally have ratings under 90VA or so, and you don't need anything that big for a preamp. At the moment I'm using a Thunderchief as an outboard preamp with a TW Mosvalve power amp. Drives it with no problem all by its lonesome. Put a booster or OD in front, and it becomes a monster. I've done the same with the ROG 18, even the Fetzer, and will soon have the English Channel up and running for the same purpose. I wonder about those who have problems with ROG circuits not being loud enough. I'm guessing the problem is with the way they try to use them (as stand-alone amps maybe? ), or problems with their gear. I'm thinking I'd like to use an external preamp setup on the 3886 I want to build, but how would I go about this? Do I simply run my guitar thru the offboard preamp like i would a pedal, into the 3886 poweramp with another patch cable? Also, how would I go about adding a line-out to my amp? I'd like to use it as a preamp until I can get the money and time to build a preamp. Yup, thats exactly how you would use it. As for the line out, it depends, what do you have for an amp?